But it’s not all about the girls - there are plenty or opportunities for members to try something new, take on a new personal challenge like The Voyage Award with Bronze, Silver and Gold levels and escape the daily routine. The best thing is that what you do is up to you! 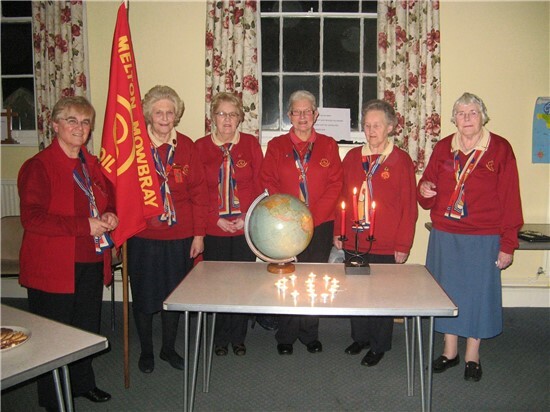 Across the UK, there are over 1,100 Trefoil Guilds with over 20,000 members - some meet every week, others less frequently, perhaps in the evening or in the afternoon. Girlguiding Leicestershire are supported by 14 Guilds in Ashby, Braunstone, Charnwood North, Countesthorpe, Hinckley, Kirby Fields, Leicester City, Loughborough, Lutterworth, Melton Mowbray, Oadby, Oakham, Rutland and Wigston.